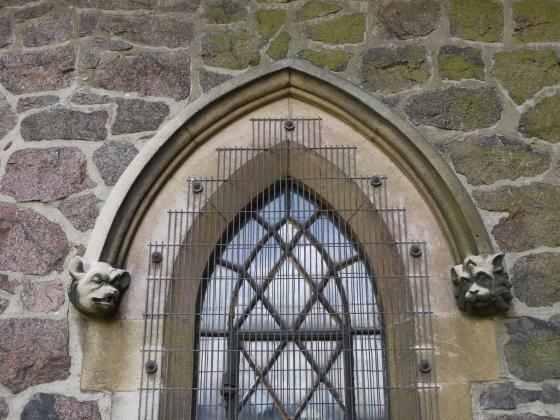 The main fabric is of mixed Mountsorrel granite, with dressings of Corsham, Ketton and Box stone. The Church can be approached from Church Street or School Street but the view from Church Street has changed little in almost 50 years. The above post card view was taken in the early 1950's. A stone church was started here in Norman times, probably of a two cell structure with a squat tower. All that can be seen now are the Norman Foundations of the present tower, the Font Bowl with its chevron pattern, and probably the bottom slabs of the South Arcade Pillars. The general shape of the present church reflects an early 13th century structure adapted by changes made in the 15th and 16th centuries and in the major Victorian restoration of 1877. 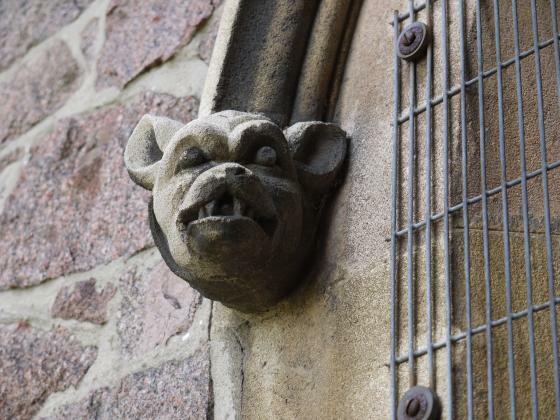 The Cambridge Architect R. Reynolds Rowe and the then Vicar Richard Burton led the efforts to save the building from a century's decay. The roof interiors are from 1877 except for the tie beams in the Nave which are from the 15th century. Let us now take a look at the architecture and history of the church. The above drawing highlights the features of interest. A) NAVE. 12th century (Norman-transitional) Clerestory 15th century (Perpendicular). 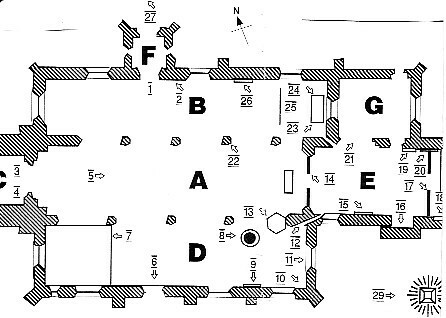 B) NORTH AISLE. Early 13th century. (Norman transitional). C) TOWER. Norman foundations, heightened 15th century to 70ft. 6in. (Perpendicular). D) SOUTH AISLE. 13th century (Early English). E) CHANCEL. Restored 1877, SW Window 13th century. F) NORTH PORCH Added in 1877. G) VESTRY AND ORGAN CHAMBER. Added in 1877. Follow the numbered drawing above. 1. 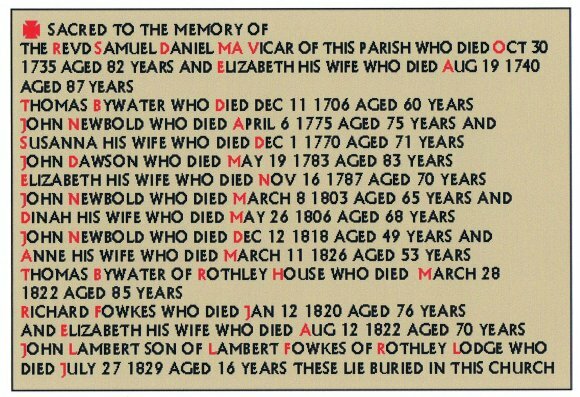 The List of Vicars of Rothley, continuous since 1277. 3. The Tower today is in three stages, dating from the early 15th century with the lower portion of the Norman 'stump'. 4. Six bells hang in the upper tower. The 'foure' Tudor bells (1553) were recast into five and rehung in 1784 by Edward Arnold for £95 7s 9d. 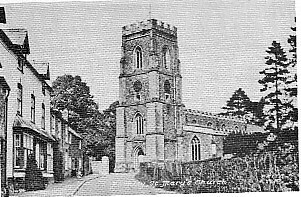 Taylors of Loughborough rehung the bells in 1877 and a sixth bell was added in 1934 for £66 in memory of the vicar, Lewis Pearson, who served from 1916-1926. 5. 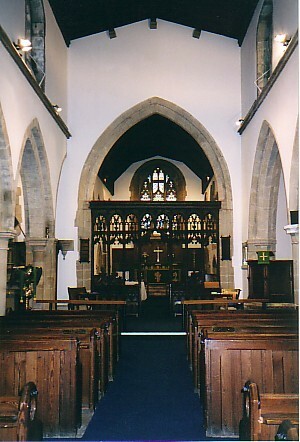 The Nave. The lower portions are of the 12th century with the upper part, clerestory and tie beams supporting the roof all of the 15th century. 6. The South Door opening with a wooden porch was the main entrance prior to the 1877 restoration. 7. The Choir Vestry was designed by Alfred Herbert in the early 20th century and built in 'English Oak to echo the Rood Screen'. 9. The Kingston Monument on the south wall is an alabaster tablet, part of a box-tomb, featuring the arms of George Kingston and his wife Mary (Skeffington) 1549, supported by mermaids combing their hair. 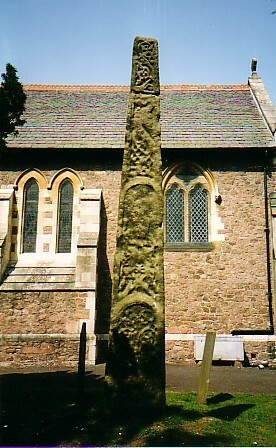 The Kingston family was prominent in Rothley in the 15th and 16th centuries. 10. The Piscina in the corner of the south wall is from the 13th century, being a small 'sink' that featured in the celebration of Communion. The Kingstons had a 'parclose' and a chapel here. 11. The East Window has a mosaic of old stained glass fragments in the tracery at the head, the only ancient glass left after the Victorian restoration. The centre light shows a male figure in a cloak carrying a staff, possibly St. John the Baptist. 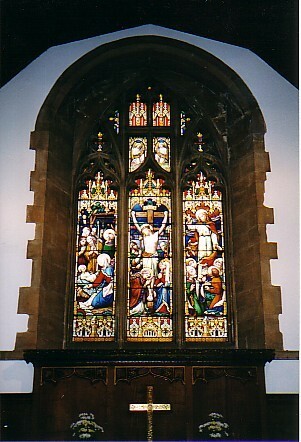 The main window is a tribute by the Paget family in 1897. 16. The Box Tomb of Humphrey Babington (d. 1544) and his wife Eleanor (of the family Beaumont, descended from Richard 111). 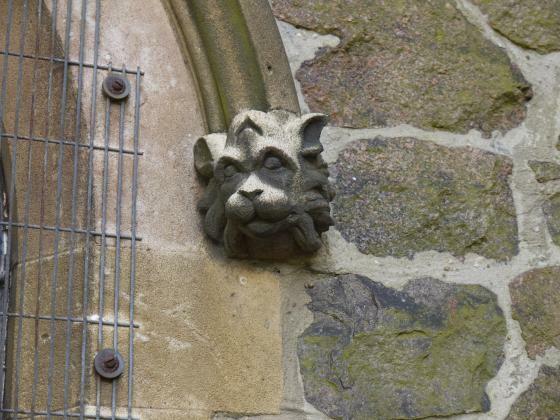 Note the Shield of Arms, a pun on their name, 'Baboons on Tuns'. 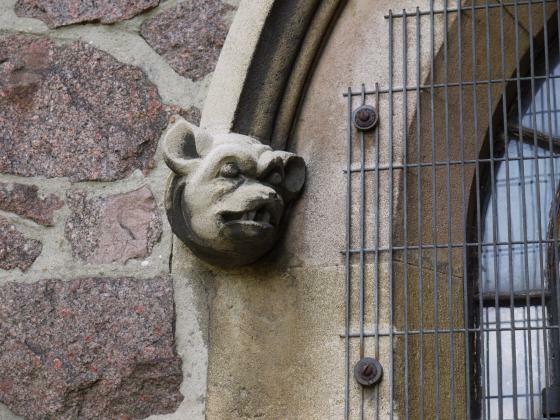 Humphrey was the first tenant of the Manor after the Reformation. 17. The Communion Rails feature the carved instruments of the Passion and were erected as a memorial. 18. Triple Sedilia and Double Piscina in the south wall of the Sanctuary. Pre-Reformation there was only a double Sedilia. 19. 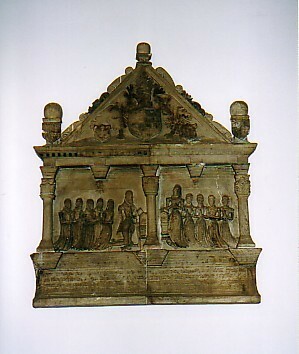 The incised Slab Top of the Boxed Tomb of Robert Vincent (d. 1520) stands next to the Vestry and features both his wives Margery and Thomasina. 20. The Monumental Tablet commemorates a past Vicar, the Revd. Aulay Macaulay (1796-1819). 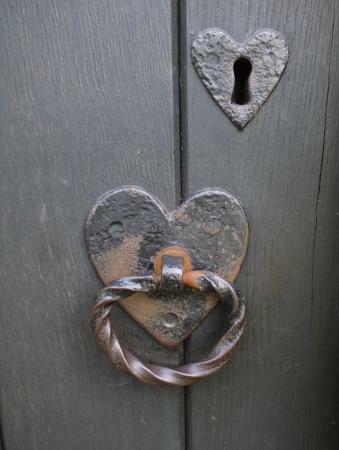 Aulay introduced his sister Jean to Lord of the Manor Thomas Babington, who later married. It was Thomas who ushered Jean's brother Zachary into the Christian Faith, who subsequently did so much for the anti-slavery cause. 21. 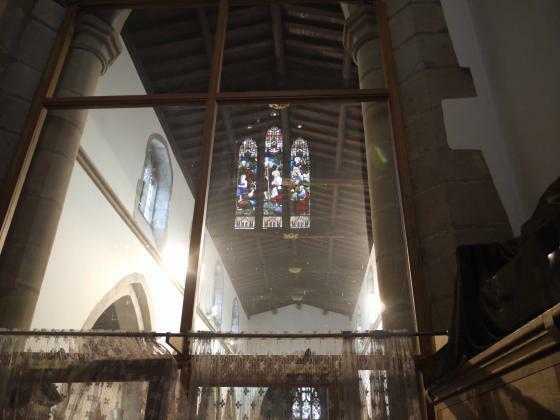 The Organ, a 2 manual with 22 stops, was built by Norman and Beard in 1921 and dedicated to the memory of the Rothley men who died in the Great War. It cost £1,700. 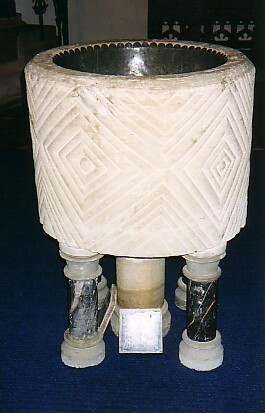 Originally hand blown, then a water-driven motor was installed until the advent of electricity in the village. An additional 'fifteenth' was added in 1984 that allowed two octaves above 'the great'. 22. The Brass Eagle Lectern was bought by subscription in memory of the Revd. Richard Burton, both Curate and Vicar of Rothley over the period 1858 until his death in 1909. He was instrumental in commissioning the 1877 restoration. 23. The Kingston Tomb features the unique Slab Top incised with the Will, date 1486, of Bartholomew Kingston. His image is also incised, alongside his wife Elinor. 24. The Memorial Chapel dedicated to the fallen in the Great War, features a Reredos painted by Miss Goddard, showing the names of the Archangels Gabriel and Michael. The Oak Wall Panels (hiding the second hagioscope) were added as a memorial after the 1939-1945 War. 25. This area previously housed the Babington Family Pew, and many of that illustrious family were buried in the Church. Several of the black-slate grave slabs form the flooring, placed here from the Chancel during the 1877 restoration. 26. 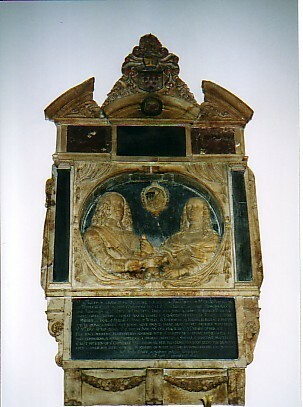 The Memorial Tablet to Thomas Babington (d. 1567) and his wife Elinor, their sons and daughters. Thomas, son of Humphrey, (see note 16) purchased the manor outright in 1565 to begin nearly 300 years of Babington Lordship. Also to be seen is the Bishop's Chair of the 17th century, a more recent gift to the Church. With Organist Wilfrid Ling F.R.C.O., A.R.C.M. The programme of the event is shown above. 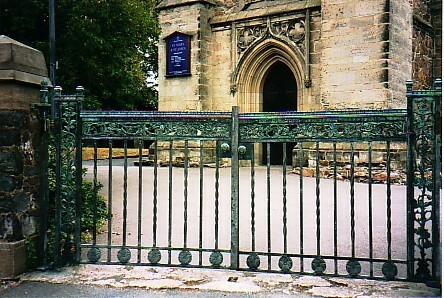 27. the Lytch Gate was a gift in 1936 by the children of the Houston family, honouring their parents. 28. Near the North-eastern corner of the Church several of the graves feature memorials to members of the Macaulay family. 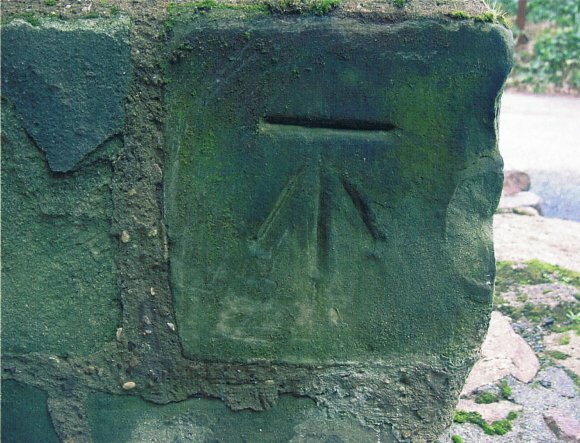 A Sundial 'Clock' is fixed to the south-western buttress of the Tower and is possibly very old. 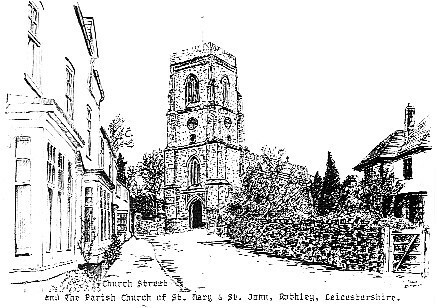 The Parish Records note a clock in 1750. The present Tower Clock is by D. Shaw of Leicester and was installed in 1877. 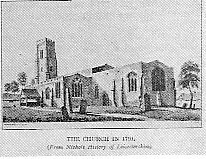 The whole of the lead roofs of the Church were replaced in 1975 by stainless steel at a cost of ?10,000. 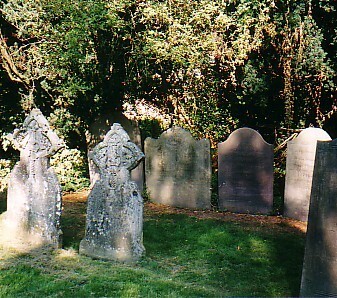 There is a fine collection of Swithland Slate Gravestones displaying the art of the stone carver and the names of some past inhabitants of Rothley and Mountsorrel. XHTML 1.0 validated. WCAG compliant. Page generated in 0.2343 seconds.